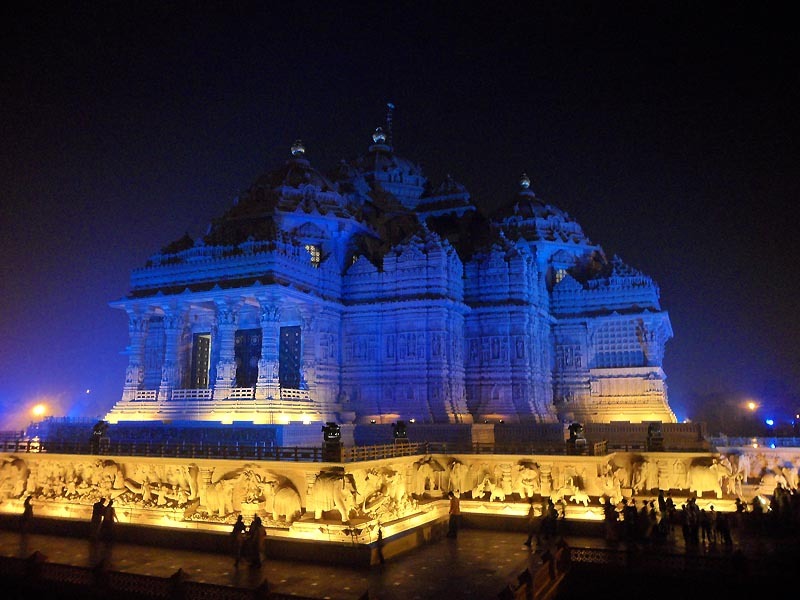 On the evening of 13 November, celebration of World Diabetes Day, India, commenced at Swaminarayan Akshardham in New Delhi, as part of the largest ever campaign in the country to raise awareness on World Diabetes Day through the Blue Monument Lighting Challenge. The lighting of Swaminarayan Akshardham kicked off India’s participation for the first time in the Blue Monument Lighting Challenge, a call to illuminate iconic landmarks, monuments and buildings all over the world in the official blue colour on the eve of World Diabetes Day, thus supporting the global campaign of diabetes awareness. 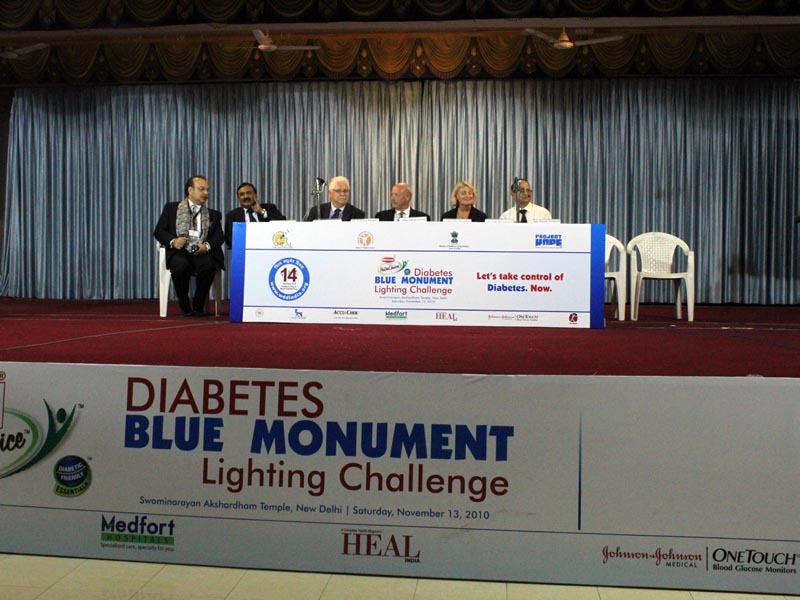 Amidst a large gathering of diabetic children and adults, charity groups, NGOs and national media, the Heal Foundation, Project Hope, Ministry of Health, Govt. 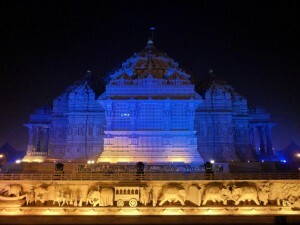 of India and others organizations held an inaugural ceremony at the Swaminarayan Hall in Akshardham. Event attendees included the Danish Ambassador to India, H.E. 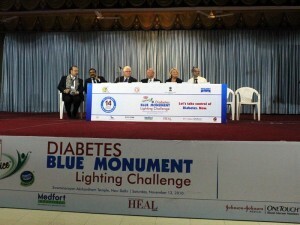 Freddy Svane and his family; Chair of the Canadian Diabetes Association, Aileen Knip; Chairman of Diabetes Blue Fortnight and president of Delhi Diabetic Forum, Dr Subhash Wangnoo; Vice President of International Diabetes Federation, Ms. Anne Belton and other notable corporate and medical dignitaries. 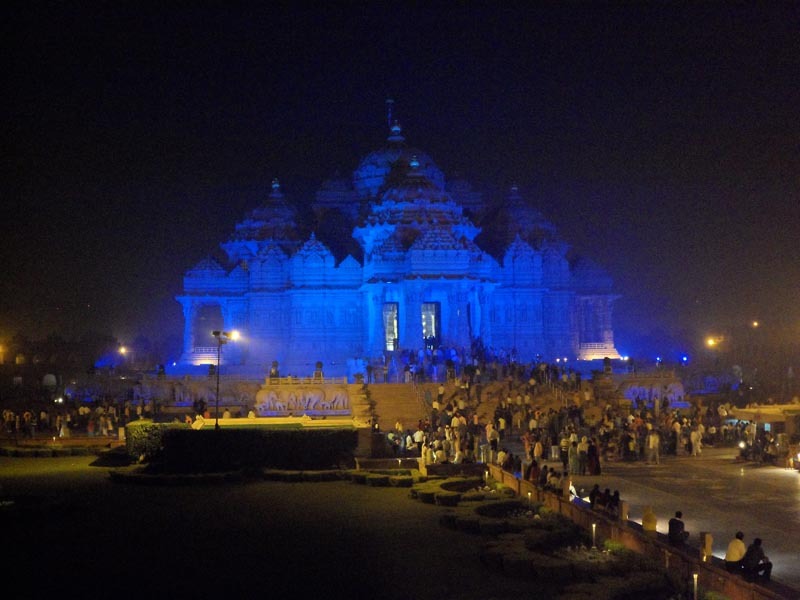 the Blue Monument Lighting Challenge is a global movement in which 660 monuments in nearly 72 countries have been lit so far. “It has been happening in western countries for nearly a decade now. 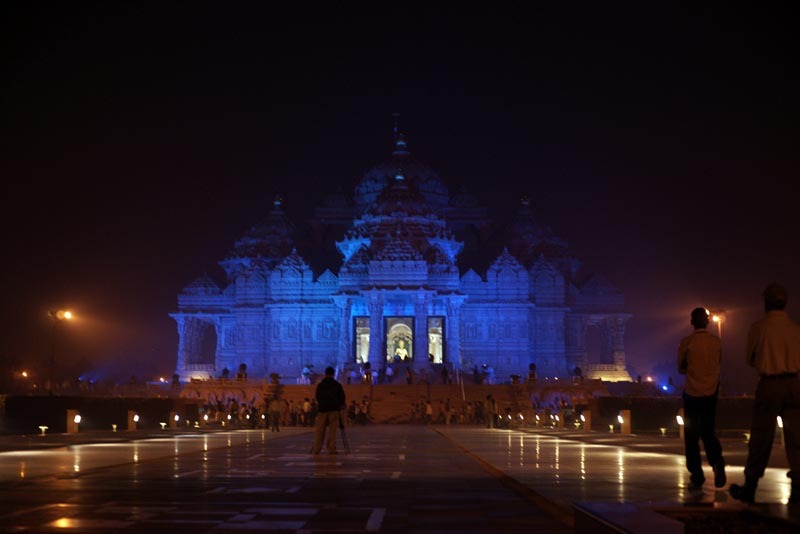 This is the first time we have attempted something like this in India,” said Dr Subhash Wangnoo. 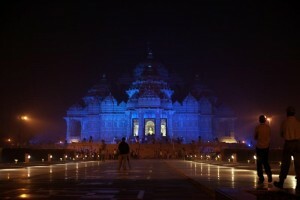 The kickoff ceremony culminated with the Danish Ambassador illuminating Swaminarayan Akshardham in blue colour with a press of a button and thus simultaneously bathing over 50 monuments and buildings across New Delhi, including, India Gate, Qutub Minar, Red Fort, Old Fort, National Museum and 5 star hotels of Delhi, with blue light. 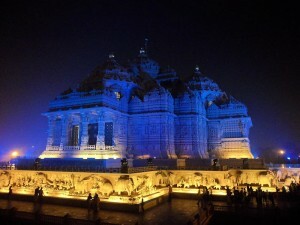 After the ceremony, 50 lanterns were lit in the mandir courtyard and sent up into the night sky. 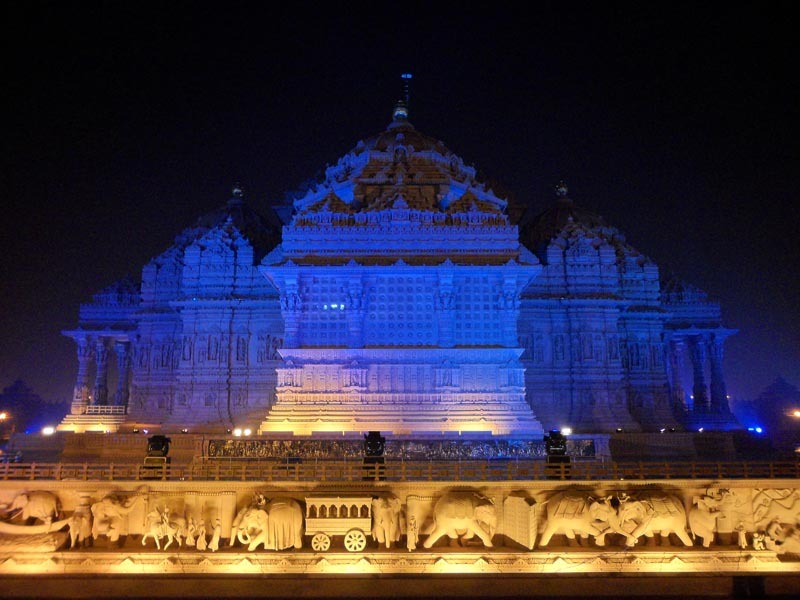 Currently India has 50.7 million diabetics. The number is expected to touch 79 million by 2030.